Why should a young person use a credit card? Largest network in the U.S? Below you will find a few tips about how your can build up your credit score while you’re still young. While you are in the process of building your credit score, it is a good idea to check your score regularly. If you notice anything strange or an error, report it. Several of the major credit card issuers offer simulators where you can see how different actions would impact your credit score. This is a way of learning more about how the scores work and how you can improve your score. 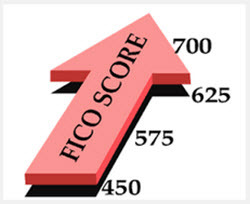 Since FICO dominates the U.S. market when it comes to consumer credit reports and credit scores, we have a whole article dedicated to FICO on this site where you can learn more about the FICO scores and how they work. There are many different credit options available, some more suitable than others depending on your needs. 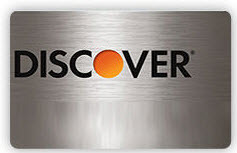 Some examples other the credit cards are payday loans, personal loans, down payments etc. If you are a young person with a small income, wishing to build a good credit score for the future, you should stay away from costly credit options. Costly credit options will increase your risk of ending up in a debt trap and you might find it difficult to pay on time. When you select a credit card, make sure it comes with no annual fee and that you will be charged 0% interest on purchases provided that you pay the bill in full, and on time, each month. Most credit cards will charge you interest (and sometimes also a fee) on cash advances, even if you pay your bill in full and on time each month. Make sure you have some other method of obtaining cash-in-hand, such as a regular ATM debit card, and stay away from using your credit card to withdraw cash. Make a habit of paying your bills on time. It is true that many credit cards won’t report your first late payment, but if you are late one month you will have even more to pay the next, and you can quickly be sucked down into a serious debt problem. By then, the credit issuer will have started reporting your failures and your credit report and credit score will be impacted. Do not use more than 30% of your available credit. 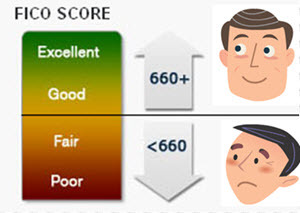 Using more can have a negative impact on your credit score. Example: You have one credit card with a $1,000 credit limit and another credit card with a $500 credit limit. ($1,000 + $500) x 0.30 = $450. This means that at any given time, you shouldn’t have more than $450 in debt in total. If you are offered a higher credit limit, it can be a good idea to take it even if you don’t think you will use it, since it will make your credit utilization even lower. Potential lenders like to see that you can manage several types of credit in a responsible manner. That is way it is good to have a few different types of credit. You may for instance have an auto loan, a credit card, and a purchase that you are paying off in installments. However, you need to be careful when you create your “mix basket” of credits. For instance, if you are going to pay something off with installments, pick one of those offers where you pay absolutely 0% interest and no administration fees as long as you pay every installment on time. It is really not a good idea to go with a costly installment plan just to build credit history. Do not buy things you don’t need just to buy something on credit. Start in the other end. Focus on what you really need and then see if you can use this necessary purchase to enhance your credit history. You can for instance use your credit card to pay for necessary utilities each month. When you have applied for and received some form of credit, it is usually best to wait a few months before you apply for any other credit. What if I’m under 21? The US Credit CARD Act of 2009 has made it more difficult, but far from impossible, for young people under the age of 21 to obtain a credit card. The reason for the law was to act against some rather predatory marketing practices carried out by certain credit providers. You can still get a credit card if your are under the age of 21, but you have to prove your financial independence and your ability to repay the credit extended to you. If you can not prove your financial independence and ability to pay, you can still get a credit card if you have a cosigner. A person with a credit card can elect to add someone else as an authorized user. The authorized user is not legally responsible for any debt, but the fact that you are an authorized user will be included in your credit report and can impact your credit score. It is quite common for parents to add their children as authorized users in order to help the kids build a credit history and a good credit score. Typically, the credit card issuer will not do any credit check on a person that is added as an authorized user, since it is the credit card holder that is responsible for repaying the debts. As an authorized user, you will be issued a credit card linked to the account held by the person who added you as an authorized user. Please note that there are some credit card issuers that do not report information about authorized users, so it is important to check with the issuer before you make any decisions if your aim is to build credit history and a good credit score. Always find out if and exactly what the issuer reports. Being an authorized user means that whatever happened to that account is added to your personal credit report and may impact your credit score. If you are the authorized user of an account that isn’t manged well, your credit report and credit score will suffer – even for things that are completely out of your control. This means that if the primary account holder pays to late or even defaults, this is bad news for you. Also, such a seemingly small thing as the primary account holder having a high credit utilization can cause your credit score to drop. It should be noted that some credit scoring models only includes positive information for authorized users and leave out any negative information. However, you can’t know which type of credit scoring model that will be used when a future credit check is done on you. A primary account holder can limit how much of the credit you, the authorized user, can spend. But you can not place any restrictions on the actions of the primary account holder. 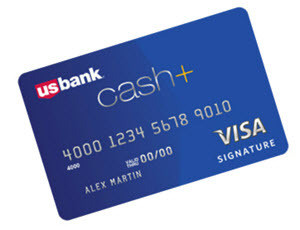 Many credit card issuers have special credit cards for students. Typically, the requirements for getting a student credit card are not as stringent as those for a regular credit card, since the issuer knows that many students are young and haven’t had time to build much of a credit history yet. Some student credit cards come with special perks tied to student life, such as a cash award for good grades. If you have trouble being approved for a regular credit card, a secured credit card can be great alternative. With a secured credit card, you must make a deposit to the issuer before you can start using your card, and this deposit will be held as collateral. Your actions each month will be reported just as with a normal credit card, which means that it is possible for you to build up a credit history and improve your credit score. So, even though you have made a deposit, using a secured credit card is very different from using a debit card or pre-paid card, since it actually counts as a real credit card and will help you build credit history. For a young person, the secured credit card can be an important stepping stone towards a standard credit card and other forms of credit.